The use of attribute sets to rank units of health provision (e.g., states, organizations) against policy goals is an essential task within decision-making and analysis. 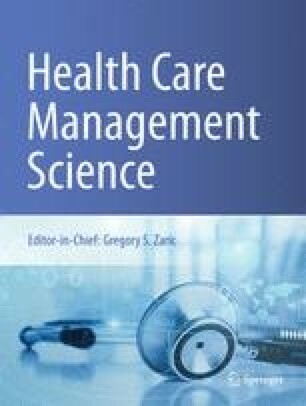 This paper elucidates and compares two techniques, SMARTER (Simple Multiattribute Rating Technique Exploiting Ranks) and CaRBS (Classification and Ranking Belief Simplex), within an expositional ranking of US states’ long-term care (LTC) systems against the policy goal of providing a balance between (traditionally dominant) institutional care, and alternative home and community-based services (HCBS). While the (more established) SMARTER technique is used primarily for comparative purposes, greater emphasis is placed on elucidating CaRBS which is based on the Dempster-Shafer theory of evidence. It is shown that CaRBS offers four appealing features for health policy analysis: (1) the capacity to rank using either of two confidence measures (DST-related belief and plausibility values), (2) a systematic approach to managing missing data, (3) the production of stable rankings, and (4) the simplex plot method of data representation. In addition to discussing the LTC policy implications of the study findings, the issues of rank order stability and the management of missing data are discussed with respect to the two techniques employed.